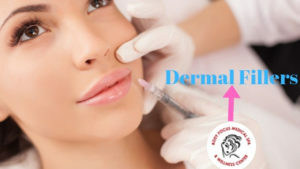 Posted on January 29, 2019 | Under dermal fillers. Is your skin becoming rough and dull with aging? Are you anxious about your sagging skin, wrinkles, and fine lines? If yes, then dermal fillers Odessa, Texas is one of the most effective remedies to bring back the luster and glow of the skin. Dermal fillers are a non-invasive treatment used for restoring the volume in the face. With growing age, skin loses its elasticity and natural hydration leading to facial lines, sagging, wrinkles, etc. dermal fillers help in plumping up skin from the cheek area of the face to the jawline, lips, nose, under eye, and mouth. In many cases, these fillers are used to eliminate scars as well. These are gel based consisting of the substance known as hyaluronic acid (HA), which is already present in the skin. They last between 6 months to one year depending on the skin type and the hyaluronic acid used. There are numerous brands available in the market and your dermatologists know better which is best-suited for your skin. So it is advisable to seek professional assistance for any kind of dermal filler treatment. After consultation with your cosmetologist, the treatment would get started. The process would begin by applying a numbing cream on the area to be cured and wait about 30 minutes for it to show its effect. Later, the doctor will apply ice to the skin to minimize the burning effect. The gel is completely safe and produces more collagen to restore younger looking appearance. You can get the second injection after a period of 4-6 months post your initial injection. This non-surgical dermal filler is budget-friendly, painless, and safe. If you are looking to bring back glow on your face, then dermal fillers are the best options for you. However, it is important to choose the best dermatologist offering treatment for dermal fillers Odessa and other parts of the country to attain rejuvenated look. One of the major benefits that people receive is a boost in self-confidence after using dermal fillers. They love the way they look. The major objective of any cosmetologist is to help you achieve your aesthetic and beauty goals. Next PostNext Are you looking for a perfect place for weight loss Midland?